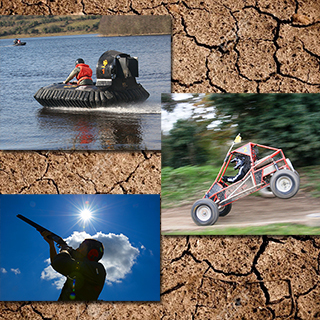 Experience three adrenaline pumping experiences at Cavan's premier extreme experience park, ODD. 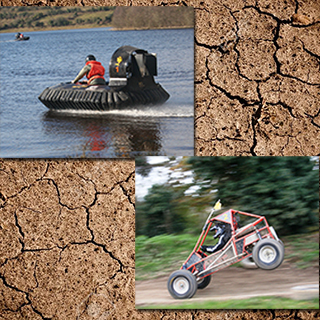 Try your hand at Wild Water Hovercrafting, Rage Buggy Racing and Clay Pigeon Shooting. 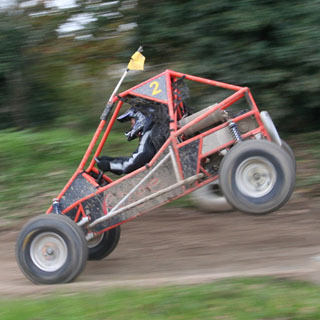 This package includes a minimum of 7 laps hovercrafting around ODD's wild grass to lake course, 5 practice laps followed by 15 timed laps in a Rage Buggy, finished with clay pigeon shooting. This duration of this experience is approx. 4 hours. Expert tuition and equipment is provided. Minimum participant age is 16 years. This experience is weather dependent. Not suitable for people with back problems. This voucher is valid for 1 person. ODD is located in The Gamespark, Ballyconnell, Co Cavan. The Trio Extreme Experience take place Wednesday - Thursday beginning at 09:00. Advance booking on AllGifts.ie is required. - Hovercrafting is subject to suitable weather conditions, such as high winds and fog! - The activity will last approx. 2 hours based on 8 participants taken part in activity session. 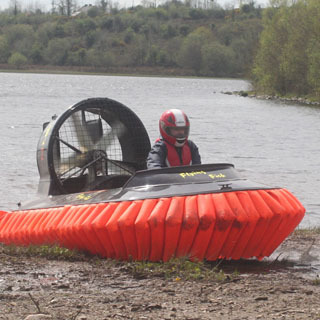 - Manufactuers weight limit on Hovercraft is 17 stone. - The activity is available Thursday - Sundays on reserved slots for voucher holders. - The activity will last approx. 2 hours based on 8-10 participants taken part in activity session. - The activity will last approx. 2.5-3 hours based on 10-12 participants taken part in activity session. - Hovercrafting is subject to suitable weather conditions, such as high winds and fog! 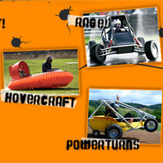 In the event Hovercraft is cancelled, you will complete your other two activities. - The activity will last approx. 3-4 hours based on 10-16 participants taken part in activity session. 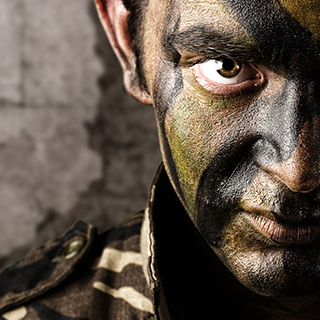 - The activity is available Saturdays & Sundays on reserved Paintball events for voucher holders. Allow ten minutes from Ballyconnell to the Gamespark. Phone us 049 9523877 if lost or delayed. At Belturbet take 1st exit for Ballyconnell at roundabout just outside Belturbet where N3 finishes. About 10 - 15 miles. Drive down steep hill into Ballyconnell, over small canal bridge to a crossroads. Go straight over crossroads, following signs for Bawnboy and Swanlinbar. Will pass a Londis store on left. Drive through little village of Bawnboy continuing on toward Swanlinbar. Will find a large lake appear on left, and a car park at Amenity Beach. Take 1st left after the car park, then left again where lane forks, on for 800m, turn right into Gamespark's lane located between a new house and a B&B called Prospect Bay. You will come into Ballyconnell from Derrylin through Main St. At the crossroads turn right, following signs for Bawnboy/Swanlinbar. Will pass a Londis store on left. At top of town take left fork marked Swanlinbar, DO NOT follow signs for Ballyconnell! Past a GAA ground, this road about 12 miles long, eventually comes to a T junction called Derrynacrieve Junction. Take right turn at T junction. Take left fork on lane, on for 800m, turn right into Gamespark's lane located between a new house and a B&B called Prospect Bay. ODD stands for Out Doors & Dirty....and our extreme Gamespark in Ballyconnell Co. Cavan is designed for those who love adrenalin and dirt! ODD’S Extreme Experience park is unique. 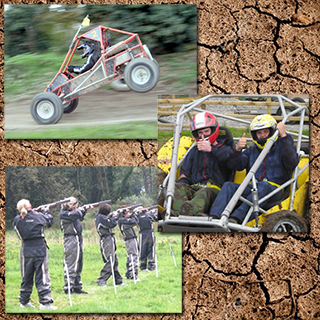 From Solo Hovercraft Grand-Prix to Rage Buggy Rallying to High Octane Multi Experience, if you want to get Out-Doors and Dirty, this is the place for you! jumps and sideways action! Our hovercraft course is laid out over land and lake, flying over the transition points from one to the other is like nothing else you’ve ever experienced! acre Gamespark offers a fantastic election of thrill generating, high octane action for both groups and individuals; seven days a week! Best of all, you’ll find our experiences fantastic value for money, and 100% entertainment. You can try just one experience, stay longer for a full days’ entertainment package, or even book one of our fun ‘dirty weekend’ activity breaks with two nights’ four star B&B accommodation included. confident you will see why once you get here! most extreme activities are for aged 16+. How it Works: Use this gift voucher on AllGifts.ie to make a booking with ODD. Or you can swap this voucher for any other gift or voucher listed on AllGifts.ie. Simply follow the instructions at the bottom of your voucher.